To beginning FamilySearch.org users and even to the more experienced, it can be confusing to grasp the differences between the various types of user-submitted pedigree information on FamilySearch.org. So what’s the difference between the Genealogies and Family Tree sections of the site? The Genealogies section of the site is sort of like a final resting place for family trees. It’s made up of the Ancestral File, Pedigree Resources File, the International Genealogical Index, and Community Trees. 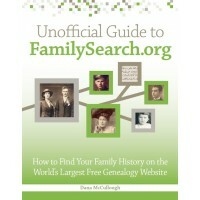 The only one of these collections you can still submit data to is the Pedigree Resource File, a searchable database with more than 200 million records submitted by FamilySearch.org website users and LDS members, and other genealogies. When you submit a GEDCOM file (the universal genealogy computer file format) of your family tree to the Pedigree Resource File, it is preserved forever by FamilySearch. You can’t change any of the information you submitted in your GEDCOM file. It’s an archival copy. But you can submit a new, updated GEDCOM file in the future. After you submit your GEDCOM file, it becomes searchable in the Genealogies section of FamilySearch.org. tree. It’s a living, breathing organism. You can add to it as you find new records. You can make changes to the information if the documents you find indicate a different place or time than you originally had entered for a life event. To search the information you and others have posted online to FamilySearch Family Trees, you must use the Family Tree Find tool (under the Family Tree tab, select the Find option from the drop-down menu). FamilySearch Family Tree and the Pedigree Resource File are connected in only one way: After you submit your GEDCOM file to the Pedigree Resource File, you have the option of importing that information to your FamilySearch Family Tree.